January is not over yet but it’s already been a great year for finding great pairs of antique and unusual objects. We are always on the lookout for them but often one of an original pair has been separated over time or one of the pair has been broken or compromised . On their own, each of these remarkable objects below, are quite worthy of praise but when they are paired, they then add balance to the beauty they bring. 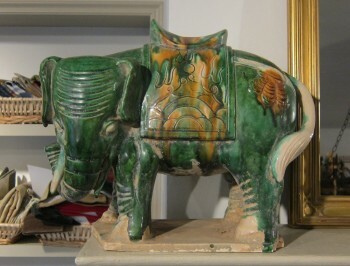 We love to balance a mantle with a pair of lovely candlesticks or unusual sculptural objects such as these elephants. We believe that this pair of beautiful and rare Chinese Tang-style Pottery Elephants, were originally used on the exterior of a home. They maintained their incredibly vibrant color, despite years of exposure to weather due to their hardy spinach and egg glaze which contributed to the intensity of the color as well. We just placed the pair on a mantle in the shop and they draw the eye of every customer who enters the store! 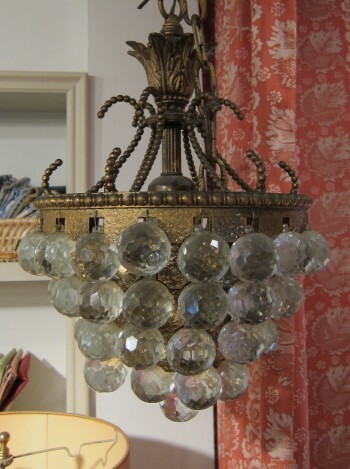 Pictured is one of a pair of 1910 Vintage, Gilt, Brass and Crystal Hanging Lamps. They are relatively petite and we think would be perfect in a long hallway. They are each designed to hold one bulb and the cut crystal balls reflect that light to full advantage. A pair of stools can tie together complimentary chairs even more. They don’t have to be identical themselves to create the balance and symmetry required. 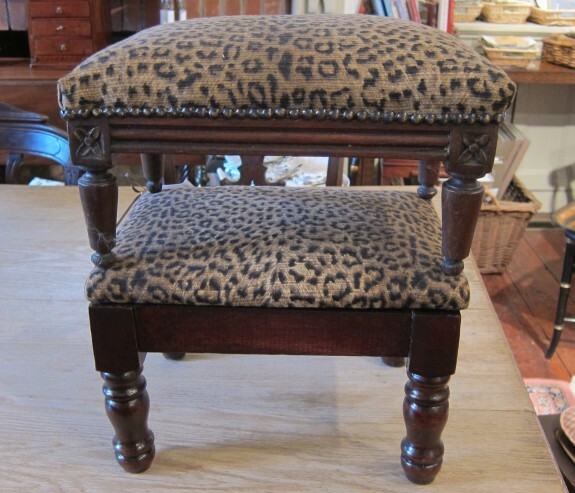 Have fun with a more contemporary fabric on a traditional antique stool such as this French Louis XVI or turned leg foot stool. 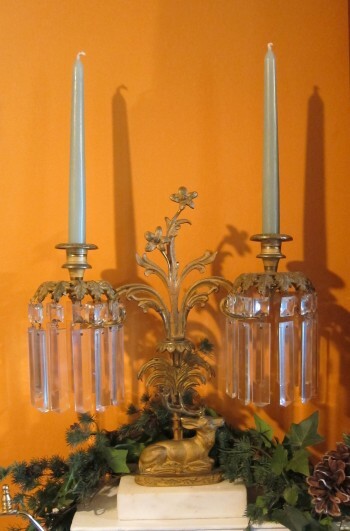 There is nothing more classically beautiful than a pair of antique Girondel crystal candelabras. 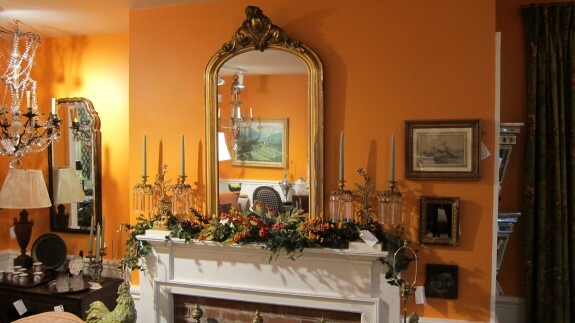 Here is a closeup of an 1830s American Girondel made with firegilt, brass and crystal and another view to show you how lovely this pair look together on the mantel in the store.